HERAT -- Afghan authorities are working to implement a ban by President Ashraf Ghani on the import of low quality saffron that continues to flow into the country. Imports of substandard Iranian saffron, which pours into Afghanistan through a variety of legal and illegal channels, have been a source of concern for Afghan saffron farmers. In accordance with Ghani's decree on October 7, all provincial custom officers and border security guards in Herat have orders to prevent the entry of saffron into Afghanistan. Provincial leaders are making their wishes clear. "In light of the strict order of the Herat provincial governor and the instruction of the chief of the provincial agriculture directorate, Iranian-produced saffron and saffron bulbs should never again enter Afghanistan," Bashir Ahmad Ahmadi, the deputy director of Herat agriculture department, told Salaam Times. "These imports, however, continue, and we are worried," he said. "Afghanistan shares a long border with Iran, and saffron is being brought into the country illegally," Ahmadi said, adding, "I hope the security agencies can end saffron smuggling from Iran." "The full implementation of President Ghani's decree has been hampered by cross-border collaboration between some Afghan and Iranian businesses," Muhyuddin Nuri, the deputy governor of Herat, told Salaam Times. "We are forming a committee in Herat to fully execute the presidential decree and to constantly monitor smuggling routes via the Islam Qala customs office, so that we can prevent the imports of saffron," he said. "We have another committee, which has orders to monitor Herat city and its markets and to take legal action against all those who violate the presidential decree ... including local shopkeepers," Nuri explained. "The presidential decree has just been issued, and this committee has only recently started to work," he added. "If we cannot prevent saffron imports and find such items in the market, then we will deal with the perpetrators." Haji Mohammad Akbar, 85, is credited with being the first to promote saffron cultivation in Herat, beginning in the 1990s. His three decades of work has distinguished him as the so-called father of Afghanistan's saffron. Akbar too is concerned about the shoddy Iranian saffron that enters Afghanistan. "The Afghan government must control the borders so that no more saffron can be imported," he said. "Rotten and low quality goods are being imported, and they are sold as Afghan saffron. This inflow hurts our Afghan saffron." "Last year, the price of Afghan saffron was about 200,000 AFN [$2,600] per kg, but this year it has dropped to 50,000 AFN [$660], because of low quality saffron imported from Iran," Akbar told Salaam Times. For several years, Afghan saffron has won the ranking of best in the world because of Afghan farmers' great efforts, he said, adding that Afghanistan must not allow Iran to degrade Afghan saffron's reputation by selling an inferior product of its own. Akbar called on Ghani to order border control agencies to prevent the import or smuggling of Iranian saffron into Afghanistan. "There should be no more excuse for saffron entering Afghanistan from neighbouring countries," Bashir Ahmad Rashidi, head of the National Association of Saffron Cultivators, told Salaam Times. "In order to fully implement this decree, a monitoring and controlling committee and a system should be established in ports of entry in order to prevent saffron imports." "Highways and even saffron companies in Herat should be monitored, which will help to fully implement the president's decree," he added. 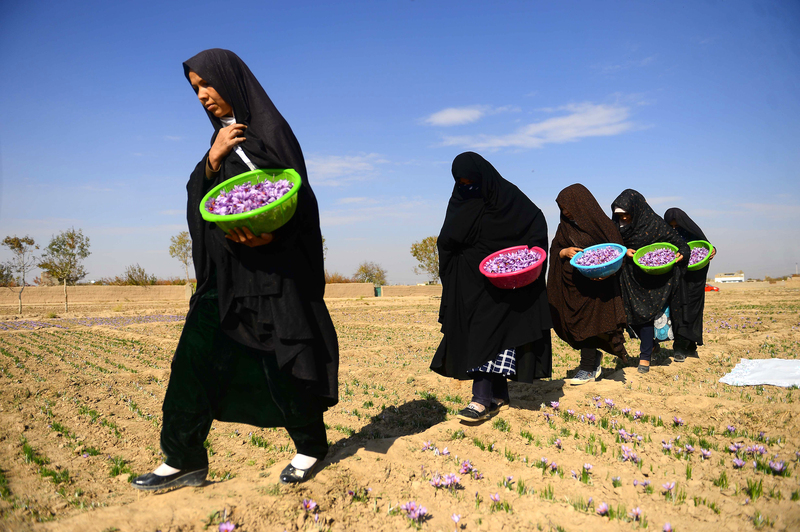 "Iranian saffron is still being smuggled into Herat despite Ghani's decree on banning saffron imports ... which concerns us," Shakur Isar, a saffron farmer in Herat, told Salaam Times. "If we completely prevent the import of Iranian saffron, it will be very effective and will increase the price and quality of Afghan saffron." "We have serious concerns regarding saffron that enters Afghanistan from abroad," Farhad Omid, another saffron farmer in Herat, told Salaam Times. "The majority of Afghan saffron farmers and companies that have been working hard in that field for many years are worried that shoddy saffron will enter Afghanistan, which could strike a blow to Afghanistan's saffron industry -- as well as to the whole economy," he said. 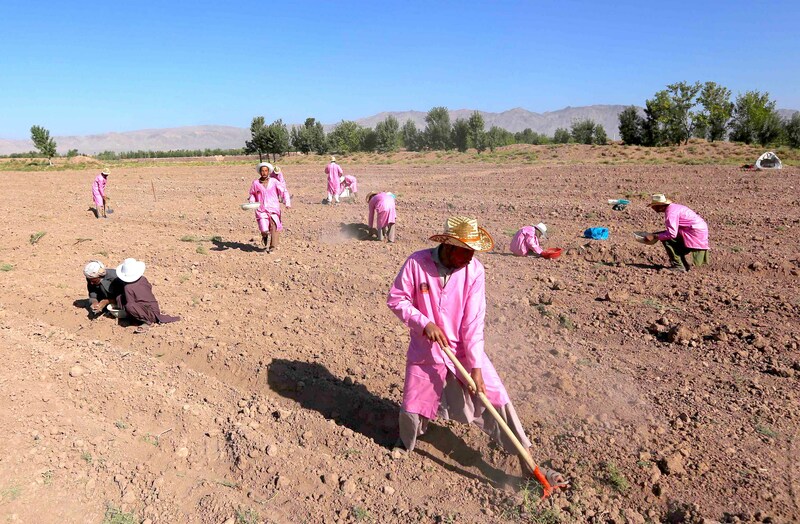 "The import of Iranian produced saffron leads to our suffering," said Azita Salimshahi, another saffron farmer in Herat. "Our concern is that we will no longer be able to sell or export our saffron," she told Salaam Times.